Kim McGlone, President, joined the Junior League in 2007, and has served on a variety of placements, including President of the Junior League of El Paso Endowment Fund Board, Vice President of Administration, Vice President of Finance, Secretary of the Junior League of El Paso Endowment Fund Board, Resource Development Chair, Advisory and Strategic Planning Chair, Christmas Fair Finance Chair and Christmas Fair Merchant Assistant Chair. She has also served on the Nominating Committee, Provisional Committee and Women Empowering Women Committee, as well as ad hoc committees for Training Program Development and the Assessment of the JLEP Headquarters Building. She attended ODI in Las Vegas in 2009, the Junior League West Texas Board Retreat in 2015, and many AJLI leadership trainings/ conferences throughout 2016-2017. 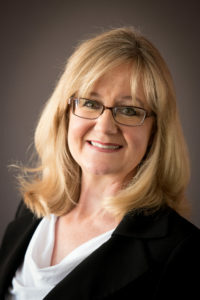 In the community, Kim is a member and former Treasurer for the El Paso Women’s Executive Forum, a member of the El Paso Council for International Visitors, the El Dedon Verde Garden Club, the Texas Master Gardeners, Daughters of the American Revolution, and a mentor with the Girl Scouts Camp CEO. In 2014, she completed the FBI Citizens Academy and is a current member of the Alumni Association. She has previously served the Plaza Starkeepers, the Battered Women’s Shelter, Girl Scouts and Boy Scouts, and the Family Readiness Group/3-133 Field Artillery Battalion, earning the Honorable Order of Molly Pitcher. In 2009, she earned the Independent Bankers Association of Texas “Making a Difference Award” and in 2011, she was commissioned a “Yellow Rose of Texas” by Governor Rick Perry for community service. Kim is a former banker with twenty-six years experience in the banking industry. She currently attends El Paso Community College and previously New Mexico State University. In 2007, she graduated from the Southwest Graduate School of Banking/ Independent Bankers Association of Texas’ Bank Operations Institute at Southern Methodist University in Dallas, Texas. She and her husband, Paul, have five children, four grandchildren and dogs, and love traveling, reading, gardening, cooking, and entertaining. She is honored to be able to participate with this incredible group of women that make such a tremendous impact on the El Paso community.